I was charged with 9 counts of Identity theft for different theft acts per Penal Code Section 530.5. I was facing up to 5 years in prison and felony convictions for these offenses. The evidence against me included surveillance video. I told everyone that the person in the surveillance video was not me. But they did not believe me. My initial attorney was not able to get anything done on the case. I then hired Attorney Will Bruzzo to represent. Mr. Bruzzo had me consult with a Photo Identification expert. When that happen the police then took a closer look at the case and almost 2 years after the matter began the police agreed IT WAS NOT ME! Therefore I would recommend Mr. Bruzzo for any Penal Code Section 530.5 Identity Theft matter. I was charged with Identity Theft (Penal Code Section 530.5(a) when I took another person’s credit card without authorization and ran up charges close to $1,000.00. I was referred to Mr. Will Bruzzo by someone who had used his services before and had gotten a good result. Mr. Bruzzo went to court for me and worked very hard to get a good result. Initially they wanted to give me 30 days in jail and a conviction. However, Mr. Bruzzo used his experience in the courts and his connections to get me a DEFFERED ENTRY OF JUDGEMENT (DEJ) agreement where I did community service, made a charitable “donation” and gave DNA and the case was DISMISSED! This is despite the fact that I was seen on video using the stolen credit card. I would strongly recommend Mr. Bruzzo for any identity theft (Penal Code Section 530.5(a)) case. I was charged with Penal Code Section 530.5(a), Identify Theft for using someone else’s credit card. I ran up about $800.00 on the credit card. The police had photos of me using the stolen card. 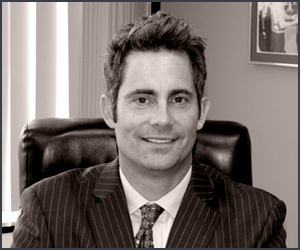 I hired Attorney Will Bruzzo to represent me [referred by a prior client]. The District Attorney wanted to give me 30 days of jail. Mr. Bruzzo negotiated with the District Attorney for some time, eventually getting me a DISMISSAL when I complete Community Service and give DNA. I am very grateful for Mr. Bruzzo’s representation and I would enthusiastically recommend him. I was charged with felony conspiracy (Penal Code Section 182 (a) (1)) and 7 additional charges for identify theft and identify theft of more then 10 people (Penal Code Sections 530.5(a) and 530.5(c) (3). These charges came about when I was using drugs and stealing people’s mail. I was facing up to 7 years in prison for these offenses. What is more, I had a previous case for similar charges that I had pled guilty to earlier. Mr. Bruzzo has represented me for the last couple of years. We hired him for this case. Mr. Bruzzo encouraged me to go into Rehab. I was able to get more then a year of sobriety and stay out of trouble. Mr. Bruzzo used this to negotiate a reduction of 4 of the charges to MISDMEANORS, the rest of the charges were DISMISSED. I was sentenced to one day of jail with credit time served. I would enthusiastically recommend Mr. Bruzzo for any Identify Theft [Penal Code Sections 530.5 (a), 530.5(c) (3)] or Conspiracy [Penal Code Section 182(a) (1)] matter.